Just contact us to exchange your tickets! The Dragons most popular season ticket package is a 17-game plan. However, if 17 games are too big of a commitment for your budget or time schedule, we would recommend a "shared" 17-game plan. We partner two interested parties together and one group gets 8 games and the other 9 games. This too has been very popular with our fans. Each group has their own ticket account and we handle all of the work. Simple, easy and fun! Interested in receiving more information about Dragons Season Tickets? 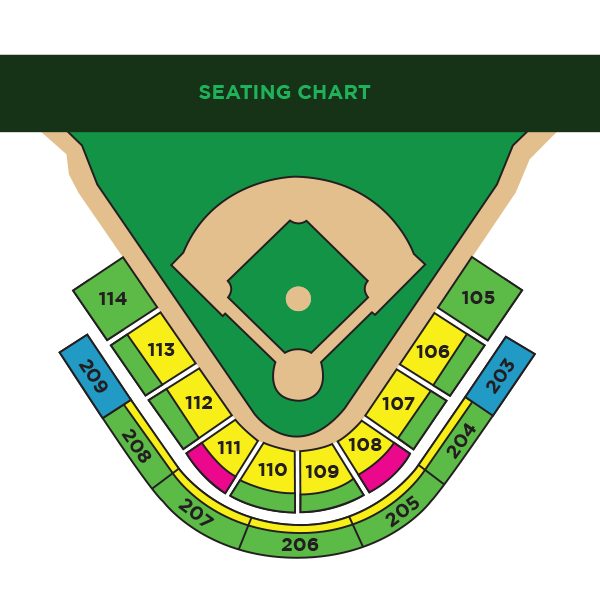 or email us at seasontickets@daytondragons.com. Family entertainment, hilarious mascots, and a look at the future stars of MLB. Guaranteed the same seats for every game in your plan, even when a game is sold out! Benefits including your own personal account rep, online ticket management, and VIP parking. Receive first access to Opening Day and single game ticket options. Priority access to playoff games and special events (Reds exhibition game, All-Star Game, or concerts). Receive limited edition Dragons gift on specific giveaway nights. Only available to season ticket holders! As a Season Ticket Holder, you'll forever be a part of history as we continue to extend our sellout streak. If you are unable to make a game, we will replace them with tickets to an upcoming game free of charge! As a season ticket holder, you will receive five 20% off coupons to the Dragons Den team store. Instead of paying the standard $19.00 price for additional tickets, season ticket holders receive a special rate of $15. Season ticket holders qualify for reduced pricing on all hospitality areas and group seating options throughout the season.